I actually guffawed when I got to the "splorging" pic! Well told. Oh, I SO hope I'm the first one to say "I'm yo' huckleberry." But seriously: this makes me realize I've never actually seen a huckleberry before. And also: your soda canister has stigmata. Perhaps some banana slices, fruit coctail, and walnuts would have added a bit of structural integrity. I was totally that kid who tried to stop jumping on a letter that NO icky boy's name started with. Also, my family used to camp on the Appalachian Trail near the Delaware Water Gap and there were so many huckleberry bushes growing along the path. We'd stop and eat a bunch, then pack some away to add to our pancakes for breakfast the next morning! There's nothing like any fruit straight from the source. Any idea why the layers didn't bond? 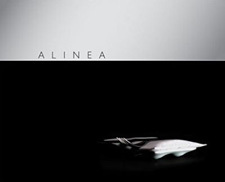 I've had this happen - (trying to remember with which recipe - not Alinea's) - but wonder what the deal is...Love to know if you find out. I just snorted! I needed a good laugh today, so thank you. I'm glad it still tasted great. Well played with the visual punchline. Let's just call it a rustic presentation. And the lengths you go to for ingredients should earn you some sort of medal. I've never seen fresh huckleberries around these parts (NY), only frozen and yet you always hear so much about "huckleberry pie". All this huckleberry pie. Where are they getting it? You'd think huckleberries lived on every street corner. Thanks for entertaining me, as always. That was so sad, I hate it when that happens. When things go all gunnysack in our kitchen we serve it up and add "rustica" to the title. Everything from "lasagna rustica" to my favorite italian classic, "apple pie alla rustica". keep up the good fight!! I absolutely agree that your rendering of the dish resembled Mr. Achatz's. :) This post made me laugh out loud - glad it still tasted great! Ok that was the funniest 'done' picture, ever! Sorry to hear it didn't quite turn out as beautifully as planned...I love the way you write btw...very witty and fun to read! Mentioning growing up in south central PA does not give you much street cred, and I am not sure it does much for Kitchen Cred. Those drive-by Amish shootings (Clop..Clop...Bang)can leave you an emotional wreck for life! Oh man, I gasped when I saw the final splorge. I'm sticking to Jell-O. Maybe toughened up with additional Knox. And...I love Keane. Seriously. Great choice. Yo huckleberry! Er, yeah sorry that was just begging to be said, even if someone else had already done so. It looks really good, and really labor intensive. I love living vicariously through you! LOL! Keane is a great choice. Their first album was amazing for a debut. Reminded me of how good Coldplay's debut was. Sadly, I thought Under the Iron Sea fell short but they did redeem themselves with Perfect Symmetry. Lovers Are Losing is a favorite, but then again I really love that whole album. You should try Muse, another really good band. Oh god, now I'm going to have to buy a jello mold. And canned fruit. And cool whip. I am so sorry that the tasty thing wasn't a beautiful thing after all that work. But thanks (again) for the biggest laugh of the day. You kill me. Wow, awesome. This is BY FAR my favorite picture in the entire book. Sometimes I just stare at this picture when commercials come on the TV. I am so impressed that you made it, even if it looked like a bunch of rotting carcasses on a plate! :) But I think the jello mold idea is not a bad one at all. Maybe I will get the guts to try this one someday! So great that you didn't even try to salvage at the end. Just glorping it into a bowl. Alas, even when they reached boy-crazy age not many girls had the skills to get to "R"
Even though the presentation may not have been all that you hoped for, the flavors were far beyond anything that we could've imagined. We all enjoyed the huckleberry and the hazlenut blobs. Thank you again for such a special treat during our trip.